As you have probably heard, several days ago Oxford Dictionaries announced that Word of the Year 2015 is not a word at all. It's a pictograph, officially named the 'Face with Tears of Joy' emoji. The was chosen as the 'word' that best reflected the themes of 2015. For this year's Word of the Year campaign, Oxford University Press has collaborated with SwiftKey - mobile technology business - to find out statistics for the most popular and most used word worldwide. It turned out to be a symbol rather than an actual word. It has been identified that use of the word emoji increased considerably in 2015, and that the 'Face with Tears of Joy' one won the battle. According to the presented data, made up almost 20% of all the mojis used in the UK, and 17% of those in the US in 2015. In this case, the idiom 'a picture is worth a thousand words' definitely makes perfect sense. The emoji has certainly become a language of its kind and a new, enhanced way of communication. A message you want to convey to somebody in this manner gets a completely different dimension. The following image represents the shortlist of notable words for this year. What would you choose to be the 2015 Word of the Year? I'd love to hear what you think - do you agree with the result? The Project Competition 2016 is organized by Oxford University Press and is open to students between the ages of 10-16. 1. Divide your class into groups of 2-6 students. 2. Each group should make either an online poster using Popplet, or an A3 poster on the above-mentioned topic. 3. Submit each poster via this online entry form. Oxford University hoodies and more! For more information, please visit the competition website. Climate metaphors are often used, especially in written English. The word climate can refer to the general atmosphere or situation in society. ° The words - cultural, economic, current, financial, moral, social, political, prevailing - collocate strongly with climate in the social sense. ° The company's dishonest policies towards the workers created a climate of distrust. ° The reforms of the education system will create a climate of change. ° Unfortunately, my plans met with a frosty reception. ° 'You cheated on me, didn't you? ', he said icily. ° After the long ride, I was in a haze for many hours. ° I have only a hazy idea what you're talking about. ° He has a very sunny disposition - he's hardly ever unhappy. ° Our future is sunny. ° Her boss was greeted with a hail of insults as he entered the building. ° The manager left under a cloud of suspicion after a fraud scandal. ° Your passion for him could cloud your judgement. ° The message sparked off a whirlwind of speculation. ° It was a whirlwind romance - they married two months after they met. ° Thunderous applause followed his song. ° The horses thundered down the dirt road. ° The winds of discontent are blowing across the country. ° The truth has been lost in the mists of time. ° She goes misty-eyed every time she hears that song. If you find this post useful, please share it. And don't forget to follow this blog down below for more posts and tips on learning the English language. In order to celebrate the European Day of Languages (26th September), Cambridge University Press Education invite you to create a short video (max 20 seconds) sharing your language learning tip for a chance to win an iPad mini! The competition is open to all language learners, students and teachers so be creative and, of course, have fun! Deadline for video submissions is 31st October 2015. Find out more and enter here. Zahvaljujući saradnji ELTA Serbia (Udruženje nastavnika engleskog jezika) i Američke ambasade, organizovaće se dvogodišnji program besplatnih časova engleskog jezika namenjen osnovcima i srednjoškolcima od 13 do 15 godina iz socijalno ugroženih porodica iz Beograda i Kragujevca. Broj polaznika je ograničen. Program se odvija posle časova, a pored časova engleskog, učenici će moći da nauče više o američkoj kulturi, kao i da učestvuju u raznim vannastavnim aktivnostima. Nastavnici engleskog jezika i odeljenske starešine mogu, na osnovu navedenih kriterijuma, predložiti potencijalne kandidate i pomoći im, uz saglasnost roditelja, da se prijave za ovaj program. Popunjen prijavni obrazac treba poslati do 27. septembra na ovu imejl adresu za Beograd, a na ovu za Kragujevac. This competition is open to teachers of kindergarten and primary level English who, at the time of entering the competition, are associated with an institution of English teaching or teach as a private tutor. To take part in the competition, teachers must watch the 'Super Safari' song and dance video down below and then submit one video of their class performing this 'Super Safari' dance and song routine. One grand prize consisting of a Super Safari - themed classroom party, run by Cambridge University Press. This includes safari - themed decorations, mascots and food for the winning class to enjoy. One monthly prize: one Super Safari parrot puppet and one Super Safari colouring book for each member of the winning class. All entries must be received by 15th December 2015. For more details on this competition, click here. Join the Super Safari adventure, for a great start to learning! This free online course is open to anyone interested in the great poetry of William Wordsworth, focusing on his writing process and the beautiful landscape of the Lake District. The course has been filmed at Dove Cottage, Grasmere, where Wordsworth lived and produced much of his greatest work, including ''I wandered lonely as a Cloud'' (better known as ''Daffodils'') and ''The Prelude'' (his autobiographical masterpiece). You will study how Wordsworth created and revised these poems and Lyrical Ballads, using the magnificent collection of manuscripts held by the Wordsworth Trust in the museum next to his home. Through different readings and discussions with an emphasis on Grasmere and the Lake District, the course will explore why this location was so special for Britain's best-loved poet. In order to celebrate the start of Lancaster University's course, you are challenged to write a poem inspired by your favourite place. Join the challenge. 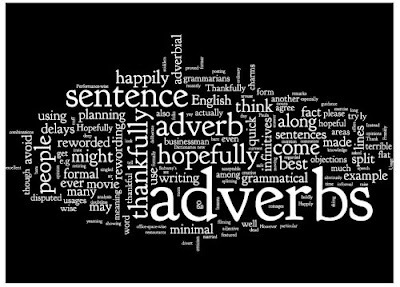 ° There are many compound nouns formed with a verb + preposition, or preposition + verb combination. The city has a bypass, which keeps traffic out of the centre. I'll need regular updates on her progress. ° Some of these nouns operate as phrasal verbs, and some don't. Rioting has broken out all over the city. I passed by your house on the way to the station. There is no verb to date up. Here are some example sentences with a compound noun starting with the word given. Shall we eat out or get a takeaway (US takeout)? 2. They were involved in a takeover two years ago. 3. You can download it for free. I'll forward the link to you. 4. It was gambling that eventually led to his downfall. 5. I didn't bring an umbrella, so I got soaked in yesterday's downpour. 6. I've bought a new outfit for the party tomorrow. 7. We may not know the outcome of the meeting until tomorrow. 8. The outlook for people on low incomes is grim. 9. After her husband died, Anna had an emotional breakdown. 10. It is a significant breakthrough in computer design. And here are some examples of compound nouns ending with the word given. 11. You need to have a copy of your work as a backup (ALSO back-up) in case something goes wrong with the computer. 12. She is going through a break-up (ALSO breakup) right now. That's why she is depressed. 13. This firm is currently facing a radical shake-up (ALSO shakeup). Can you think of any other combinations matching this type of nouns? To celebrate 150 years of Alice in Wonderland, Macmillan Readers have organised a Write about your Wonderland competition for all English language learners. All you have to do is submit your fictional story about your Wonderland. You can send in a short story (between 500 and 1000 words) and/or one drawing based on the theme My Wonderland. The competition runs until 31 August 2015 (midnight GMT). Please carefully read the Terms&Conditions. You can find some activities for inspiration here. 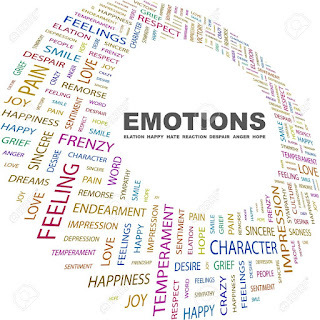 Are you an emotional person? What emotion represents you the most? Does it depend on a situation? 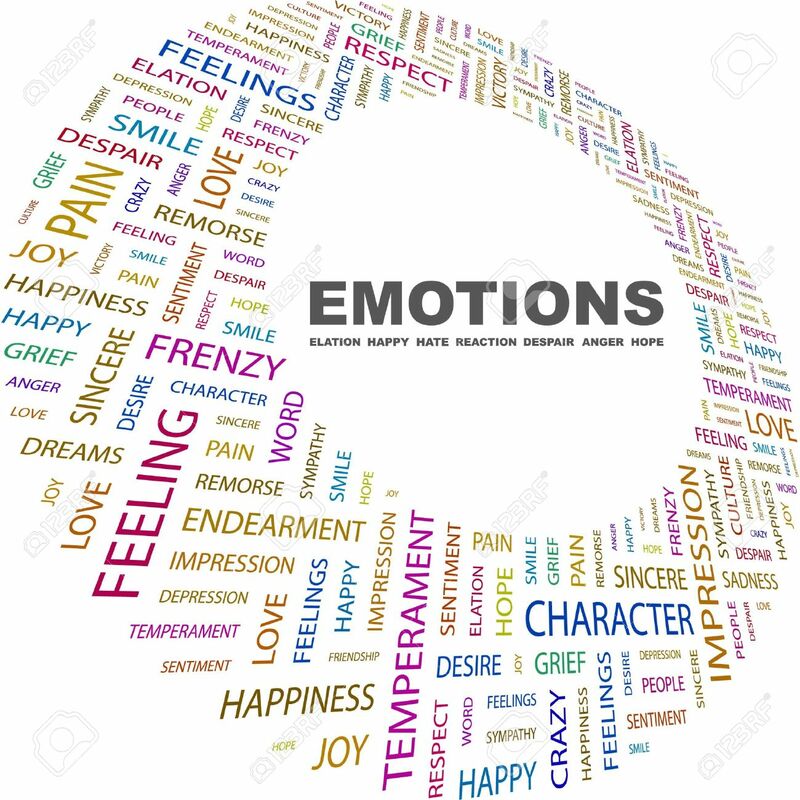 Here are some examples that illustrate various emotions. Come on, tell me. I promise I won't breathe a word to anyone. No, I'm not going there. Look how high that tower is! Are you kidding me?! Nobody gets hitched wearing ski boots! Could you not keep criticizing me in front of everyone? It looks so bad. Although you didn't win, I think you did very well to come third. Just keep up the good work and the results will come! Words can't express how much you mean to me! What do you mean I'm a couch potato? I exercise at least twice a week. You'll have to consult my secretary. I have a hectic schedule at the moment. You know me, I'm so much in demand. It was nothing. Anybody would have done the same. Thank God you're here. When I couldn't get you on your mobile, horrible thoughts came to my mind. Oh, honey, don't cry. You'll be all right. It's just a small cut. Get this bunch of useless things out of my house! Now! I can't tell you how much I appreciate everything you've done for me. I'd have been completely lost without your support. Wow! I could never do anything like that. Fifteen kilometres are my limit. 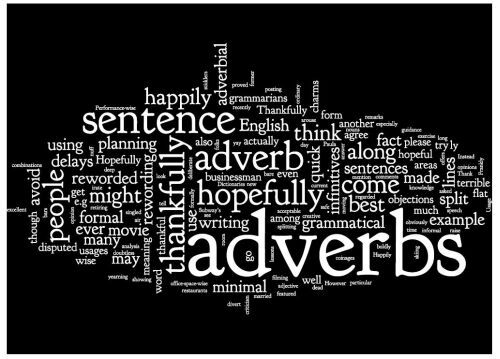 Some adverbs have two forms, one with and one without -ly. Sometimes the two meanings are connected and sometimes they are not. In which examples does the meaning alter significantly? Are you interested in finding more about British culture as well as improving your English language skills? If yes, then you will find this free online course incredibly helpful. Short videos will be used in this course in order to present a different topic each week, including English as a global language, the environment, literature and entrepreneurship. An experienced tutor will examine the language used in the videos and present main points that will help you improve both spoken and written English. Also, there will be quizzes and discussions to help you check your understanding and practise English throughout the course. At the end of each week you will be asked to describe your experiences about that week's topic in a short piece of writing. I got a card from Laura ten days after my birthday. - Oh, well. Better late than never. David's got chickenpox, Sarah's just been fired. What's next? - They say these things come in threes, you know. Mum! He's broken the vase! - Never mind. Accidents will happen. It's been raining non-stop for days! Do we need some sunshine! - You can say that again. It took me eleven years to build up my business. Nearly killed me. - Well, you know what they say. No pain, no gain. You should get a new job and stop smoking. - Easier said than done. I need to go back in the house and make sure I've turned off the iron. - Good idea. Better safe than sorry. I don't know whether to apply for this job or not. What do you think? - Well, I'm not quite sure. At the end of the day, it's your decision. Michael is a weird bloke. Have you heard he's going to cycle across Europe? - It takes all sorts. I'm having a complete break for a week. - Sounds like just what the doctor ordered. What is your opinion about clichés? Do you have any similar clichés in your language? In this webinar, Rachael Roberts, co-author of Navigate, a new course for adults, will look at a number of practical ways in which they can be integrated into the classroom practice, providing students with everything they need to unlock both reading and listening. What is the definition of a euphemism? >>A euphemism is a polite way of expressing something thought to have negative connotations. # For example, a blind person is visually challenged, a fat person is full-figured, and politicians don't lie, they are simply economical with the truth. # According to the officialdom, an old person who cannot use their arms or legs in a normal way is a disadvantaged senior sitizen. # One will not die but pass away. # Going on strike equals taking industrial action, and someone who makes things difficult for others and opposes their views for no good reason is working to rule. # Ministry of War becomes Ministry of Defence. # People who come from lower income brackets are merely poor. # And, you don't have a pet any longer, but a companion animal. # Individuals with low IQs are also known as stupid. # If you are/feeling under the weather, it means you are ill.
# Money that the government (UK) pays to unemployed people who are looking for a job is Jobseeker's Allowance rather than an unemployment benefit. # Having a dialogue is nothing but talking. # To change a system or situation so that it obeys laws is to regularize it. # Your statements are definitely misleading if they are causing someone to believe something that is not true. Are you fond of using euphemisms? Or, you're trying to avoid that diplomatic tone and be straightforward instead? Are you planning to take an IELTS (International English Language Testing System) test soon? Then this free online course will be particularly useful to you. It will help you improve your English and prepare for tests, such as IELTS reading, writing, listening and speaking. Nevertheless, all English language learners will benefit from the tips given in the course. The course will take you through each of the stages of this test and at each stage there will be advice from a video tutor and a team of experienced IELTS educators. You can also share your experiences, opinions and tips with other learners. U organizaciji Britanskog Saveta i Pokrajinskog sekretarijata za obrazovanje, propise, upravu i nacionalne manjine održava se konferencija stručnog usavršavanja za bilingvalno obrazovanje u Novom Sadu 12. maja 2015. Ukoliko želite da učestvujete na ovoj konferenciji, pošaljite vaše ime, prezime, naziv institucije u kojoj radite, grad i imejl na ovu adresu najkasnije do 7. maja 2015. Uspešno registrovanim učesnicima potvrda će biti poslata 8. maja. Radni jezik konferencije je engleski. Za više informacija, kontaktirajte Kristijana Rajkovića ili Žolta Sakalaša. - present like a TEDster? 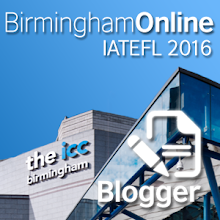 - engage learners like a riveted TED audience? - achieve feedback like a standing TED ovation? Inspired by all things TED, Paula will explain what’s behind “Teach Like TED”, refer to selected TED clips and share some framework materials developed for business learners. If you like teaching with TED, come and find out more about it. Paula Mulanovic is an experienced teacher, trainer and materials developer. She is the Director of Studies at marcus evans linguarama Cologne. Her professional interests include learning processes and what makes learning successful – for students, for teachers and for course designers. Sunday, 3rd of May 2015, at 3pm UK time/ 4pm CEST.